At Huff & Huff, We value our patients' experience. Read below what our happy clients say about us! "You all are the best. It like a vacation to come there. I love it. WONDERFUL people. Great job on my teeth. Thanks so much for making my life better. You make a difference." "If you need a dentist, this is the one you should have!! As always Cindy and Teresa and Dr. Huff were extremely professional and a class act! They are really professional, caring and do great work!! Great people work here, always good to see them!" Always welcoming and professional! We feel like part of their family. Can call and get questions answered quickly. Already recommended many friends to go there. 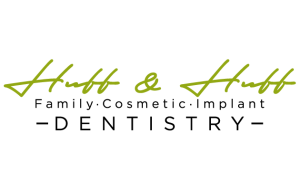 Keep up the amazing work Dr. Huff and Dr. Huff! "Excellent dentist for the whole family. Even my youngest son--who is on the autism spectrum and not a fan of doctor appointments in general--has never had a problem here. You won't find a more caring, more professional dentist anywhere in Wake County." "Wonderful as always! Cannot say more good things about them. 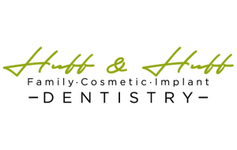 Dr. Huff and staff are kind and make you feel extremely comfortable. If a bad dental experience made you feel unsure about going to back to the dentist, this office will change your point-of-view." "Thank you for helping me overcome my fear of the Dentist. Great Job." "All was good and smooth. Very nice and professional people!" "Been going to Huff and Huff for more than 10 years and it's always an excellent experience." "Very comfortable experience, gentle and professional." "Always very professional and helpful to me." "Always professional. The best dentists we have ever had!"